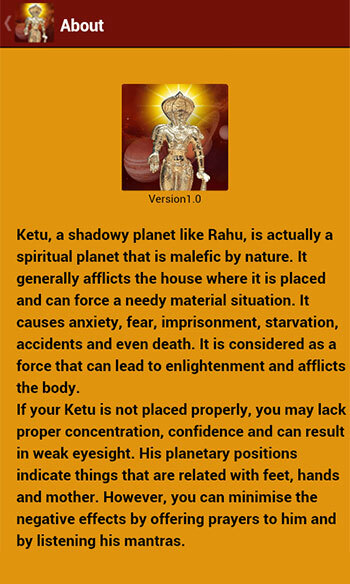 Ketu, a dark planet is evil by nature. Ketu is really a spiritual planet and indicator lighting. 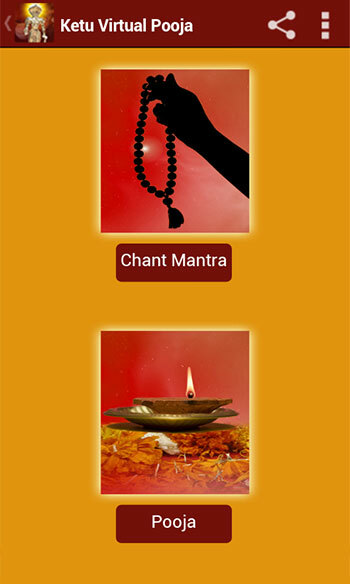 He provides spiritual trends and detachment to material or worldly ambition requirements. Ketu shows its greatest effects between the ages of 48 and 54 and their position may indicate that hand and foot, the relationship with the mother, etc. 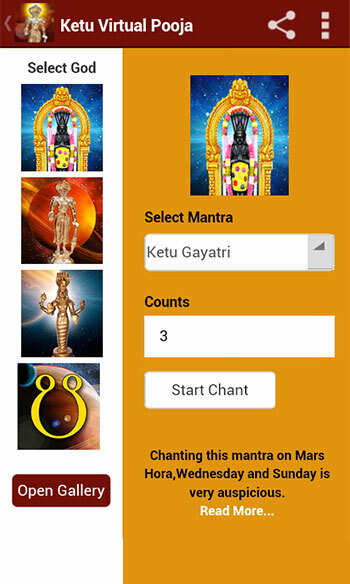 Ketu can force a poor material condition and usually afflicts the house in which placed in the horoscope. Misplacement of Ketu can make the vision and concentration of a weak person. They may also lack confidence or more prone to accidents. Some of them fell tense without the freedom to do what they like. 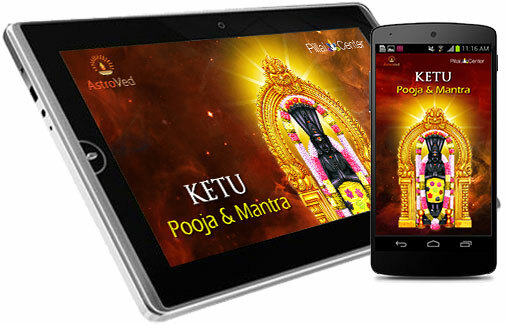 If Ketu is afflicted, it can cause destruction, hunger and even death. Fear, worry, imprisonment and accidents under the influence of Ketu Lord. It can also lead people to do terrible things and give nightmares to so influence. Performing with Lord Ketu Pooja and help bring prosperity in denial of the negative effects, illnesses, etc. His blessings can set their standards of living and easily fast across the road difficulties. 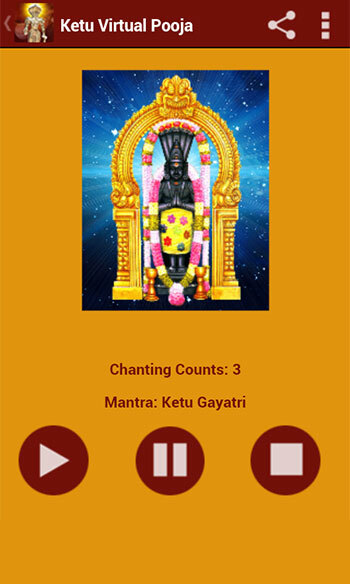 You can offer your prayers to the Lord Ketu through the application of Ketu Pooja and Mantra for Wednesday and Sunday mornings that will help you get the blessings of the Lord Ketu.